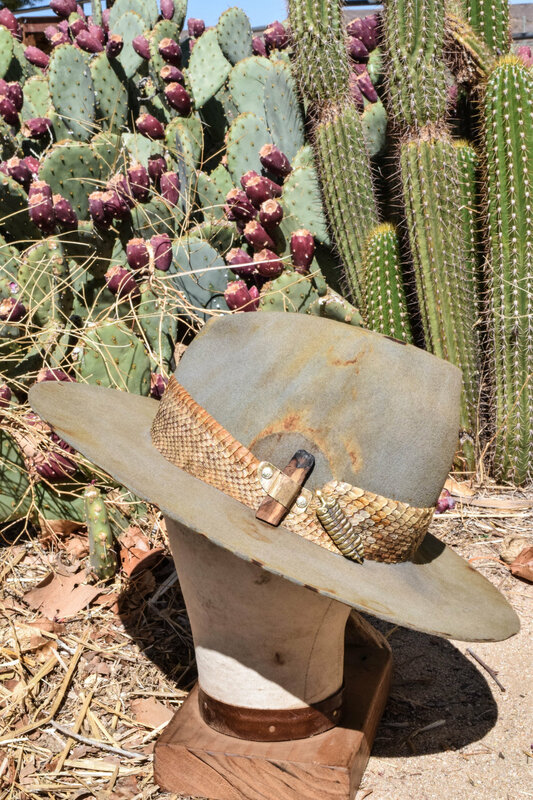 Finding the perfect hat is like finding that piece you never knew was missing. We specializing in tailor creating hats based on our customers specified needs and desires. Wool felt is made using 100% European spun sheep wool. This would represent your standard felt hat found in retail stores. It is water resistant but not waterproof, and makes for a nice daily wear hat. This is a good option for those on a budget still wanting their own custom lid. It tends to be less stiff, and not the best option for extra wide brim hats. Beaver fur is the ultimate material for making a lux, long-lasting heirloom hat. Naturally water resistant and durable, Beaver fur is incredibly soft yet maintains a stiffness and shape that rivals all other materials. It's a great option for creating a hat you can enjoy for your lifetime, and your children can enjoy for their's.